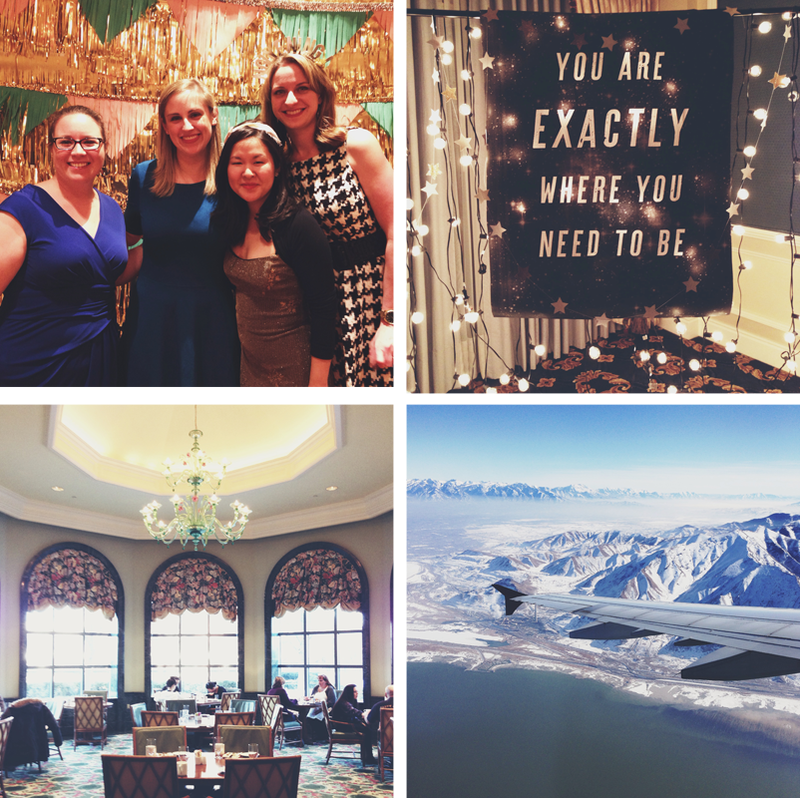 Last week I attended my first ever Altitude Design Summit in Salt Lake City. It was just as overwhelming as everyone said it would be- luckily I felt pretty prepared after reading about it for a few years, but I’m still digesting everything that I learned. I’m hoping to share some bigger picture takeaways this week, but for now, I wanted to share some of the many pictures I took while I was there! Also, this post has an unprecedented number of selfies. Consider yourself warned. Thanks to some really annoying weather, the flight I spent so much time scoping out with a cushy 10:20 AM departure time that was cancelled on Tuesday morning, before the snow even started falling. The good news was that I would arrive in Salt Lake earlier than expected, the bad news is that my flight left at 5:30 AM. I woke up at 3 AM on Wednesday, which was a first for me. 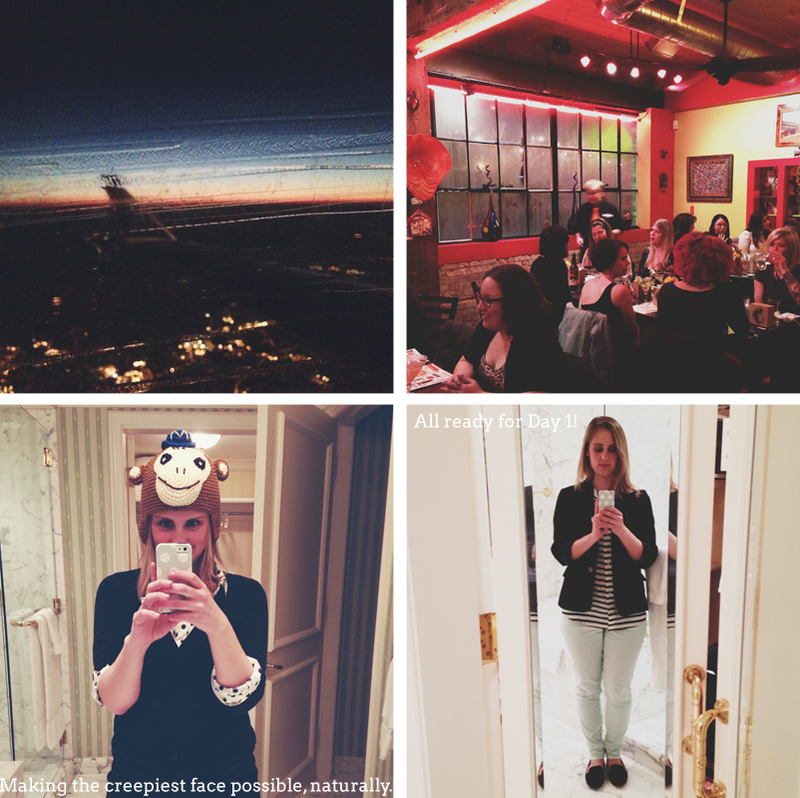 By the time I landed, attended the early bird sessions and an awesome dinner hosted by MailChimp, I was pretty much toast. I’m thinking that contributed to the ridiculousness of that monkey hat selfie. But the advantage of passing out at 10:30 is that I woke up nice and rested and ready to go for day 1! The first day was a whirlwind of meeting people, being inspired by the sessions I attended, and just generally being in awe of the hotel and the event itself. I didn’t realize how all-out sponsors go with decorating the lounges, and popping into the different rooms was one of my favorite parts! The themed party this year was hosted by Cricut, and the decorations were AMAZING. I’m not a craft blogger but even I was thinking about getting a Cricut by the end of this party- there are just so many cool things that they did with it! The party was a lot of fun, I loved meeting new people as well as connecting with old friends! The second day was just as good as the first, and the decorations for the mini parties were equally amazing, but I seem to have been lame on the picture-taking front! I loved walking around and checking out all the different themes and chatting with the other attendees, and I also got a sweet Tattly tattoo (like Lisa’s). There was also beer and a mashed potato bar, so I was pretty much set. The next morning Lisa and I got breakfast in the hotel one last time, and then it was off to the airport! It went by so fast, but I’d do it all over again in a heartbeat! Have you ever been to Alt? Tell me about your experience! That skunk though. I would die from cuteness overload. Great pictures! 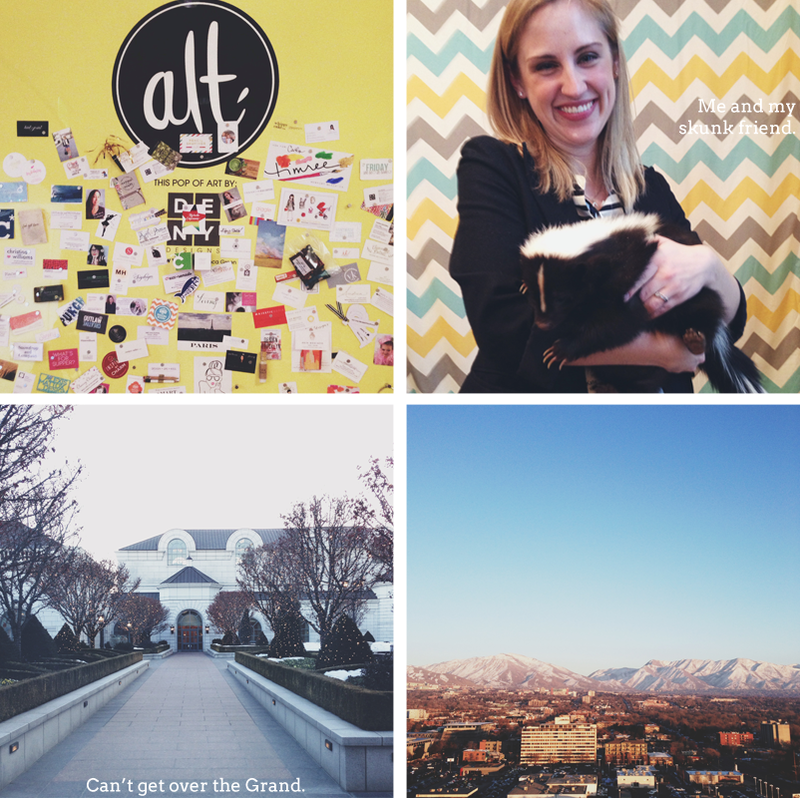 I’ll be sharing my alt summit recap tomorrow, still regrouping today! I’ve been spying on Alt for the past 6 months and would LOVE to go in the future! Jealous! I’ve never been to Alt and am so curious!! Looking forward to hearing more. I found you via Allyssa’s blog and am very impressed. I can’t believe I missed holding a skunk! Oh well. So good seeing you there! 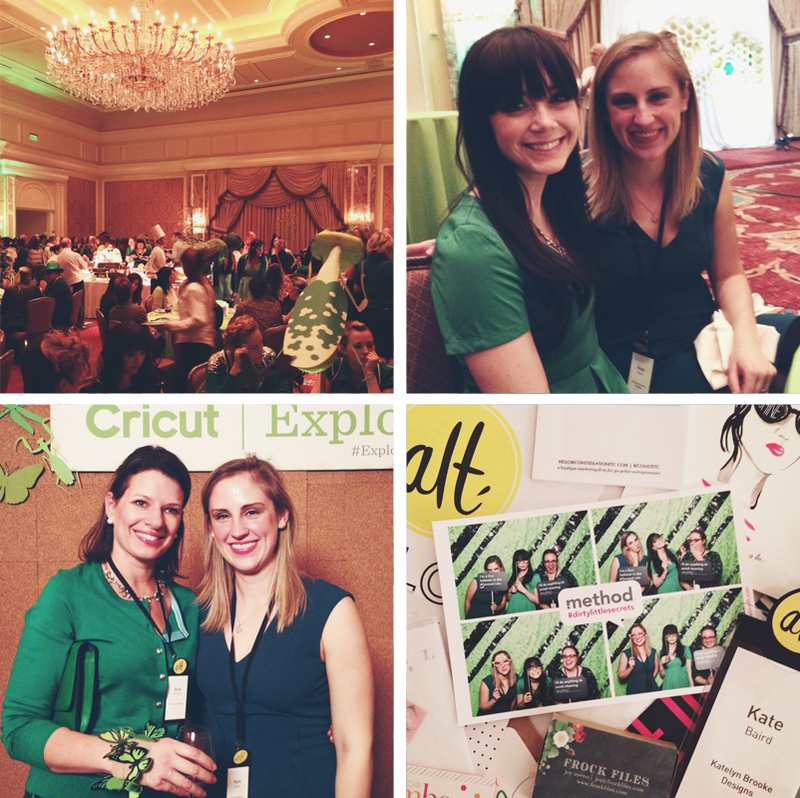 Alt was such a special experience! I love seeing your experience too!